All India Institute of Medical Sciences (AIIMS) has announced a statement for the vacancies of 2,000 Nursing Officers. Applicants who are interested for the above vacancies may check the related information and apply online from 08-10-2018 to 29-10-2018. Educational Qualification: Applicants should have cleared B.Sc (Hons.) Nursing/B.Sc. Nursing or B.Sc. (Post-Certificate)/Post-Basic B.Sc. Nursing examination and documented as nurses/ midwife in State/Indian Nursing Council OR should have Diploma in General Nursing Midwifery and documented as nurses & midwife in State/Indian Nursing Council having two years knowledge in least 50 bedded hospital. Procedure of selection: Assortment of applicant will be done on the basis of Online Computer Based Test (CBT). Fee to apply for this post: General/OBC applicants have to pay Rs. 1,500 and SC/ST applicants have to pay Rs. 1,200 via online mode using Net-banking/Credit or Debit Card. Physical Handicapped applicants don't have to pay any fee. 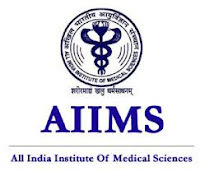 Procedure to Apply: If you are Interested for these job openings and suitable then you can apply online through AIIMS official website - https://www.aiimsexams.org/ - from 08-10-2018 to 29-10-2018.